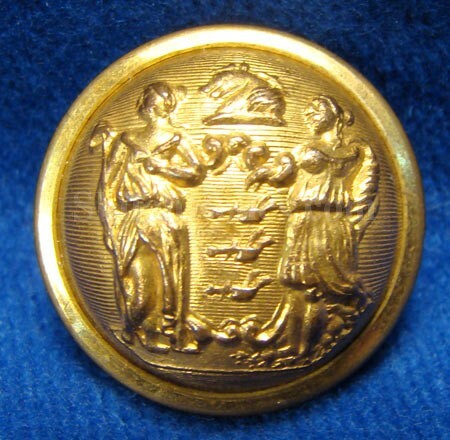 This is a beautiful non-excavated coat size New Jersey state seal button. This one has the state seal of the great state of New Jersey on the face. The New Jersey State seal depicts the figures of Liberty & Ceres holding up a Shield with three plows in the center. Above the shield it has the head of a horse for the crest. As you can see the face on this button still retains a superb amount of the original gold gilding that gives it a wonderful appearance. 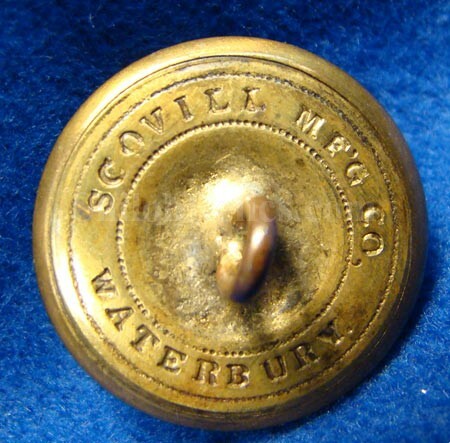 The original back and shank are intact and you can see the correct Civil War Scovill maker mark still visible. This is the style listed as NJ6 in Albert’s button book and NJ205a2 in Tice’s button book. 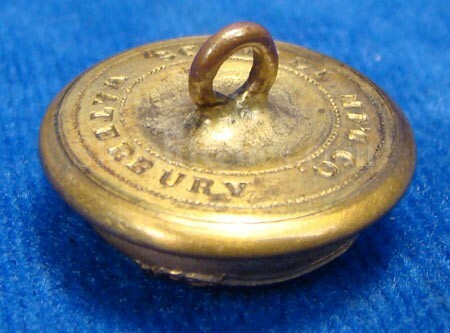 This is a superb non-dug original Civil War New Jersey Uniform coat button.